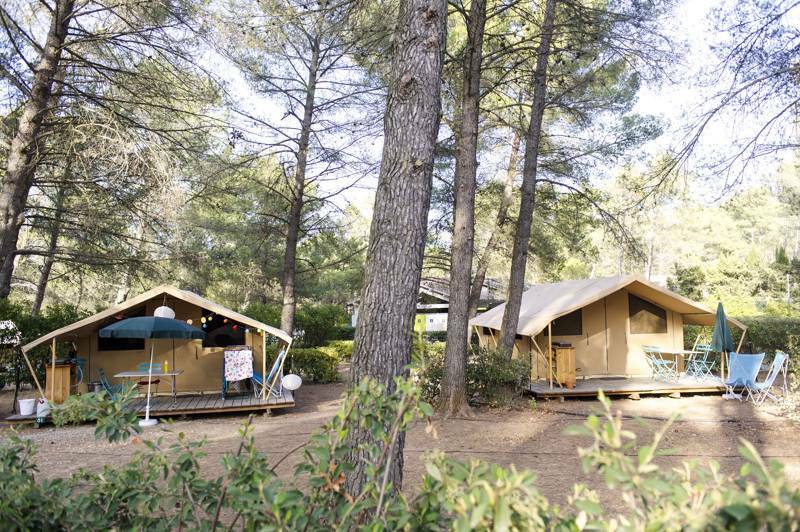 Camp in the shade of the pine trees in this beautiful, fully renovated campsite, and wake up to the hum of cicadas and the fragances of the Provence. Most Brit’s haven’t heard of Alphonse Daudet but in France this native novelist encapsulated southern culture with his light-hearted tales of life in Provence and colourful outings to the coast. His most famous work, Letters From My Windmill was set here in Fontvieille, which, to this day, retains the narrow streets, stony market squares and inviting old café-restaurants of his stories, where wooden shutters are flung open and the sound of nattering spills out. Just beyond the post office, past the tourist office and after Ramey Windmill – the very one that inspired Daudet’s famous novel – you’ll find the village’s well-known, family-friendly campsite. Sadly Huttopia Fontvieille wasn’t around in time to feature in any mid-19th-century masterpieces. A few pages in the latest Cool Camping guidebook will have to do. Set in almost 10 acres of pine-clad parkland, this well-established campsite is run by the renowned Huttopia group and, consequently, comes with all the bells and whistles you’d expect. Facilities are excellent – family washrooms, free Wi-Fi, tourist information and fresh bread every morning – while the likes of an outdoor heated swimming pool, volleyball courts and a playground happily keep kids at bay for hours. With a little help from the locals, they’ll even return from the holiday as pétanque aficionados. 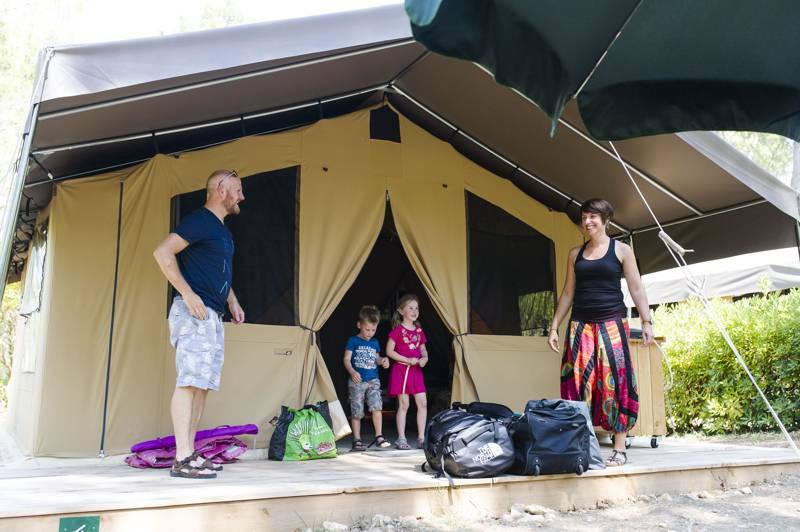 Those who don’t fancy pitching the tent, meanwhile, can choose from one of their fully furnished glamping options: a family-sized safari tent or a wooden summer cabin. For all the man-made frills, Huttopia Fontvieille still has a wonderfully informal, natural feel. The humming of cicadas (Provence’s tree crickets) and the sound of the breeze in the pine trees wakes you most mornings and the charming old village is refreshingly free from the tourist trappings of the nearby south coast. It’s still an easy half hour drive to the beach or an hour to busy Marseille but, for a quieter holiday experience, retreating into the greenery of the hills behind Fontvieille – the Parc Naturel Régional des Alpilles – is a joy. Or stay put and enjoy exploring the village itself. Start at Château de Montauban, Daudet’s favourite holiday spot where there is now a museum dedicated to his work, then follow the one-hour signed trail to the author’s four beloved windmills. Throw in ancient troglodyte houses built into the hills and the tiniest of village cinemas and you’ll quickly realise the beloved culture of the south is still very much alive and well. 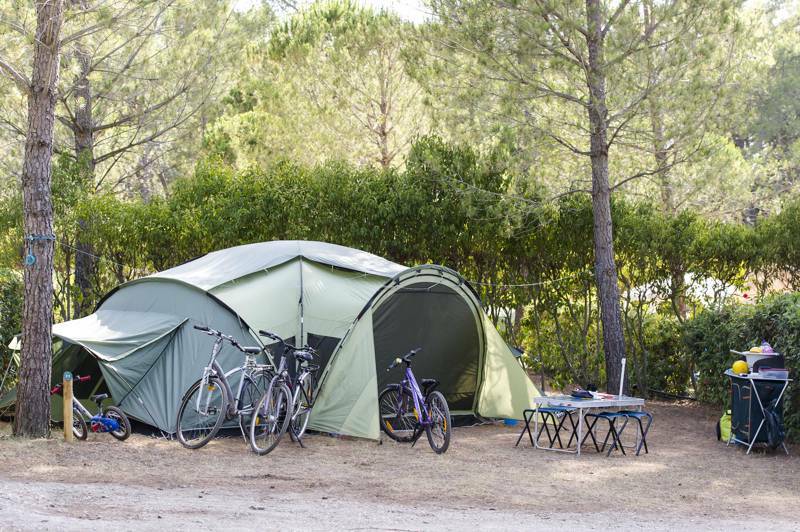 In the very heart of the Alpilles in Provence, Huttopia Fontvieille - Provence campsite boasts an exceptional location in the pine forest of Fontvieille. For latest availability and best prices for Huttopia Fontvieille, please use the Date Search above. Around 100 individually marked out pitches across 10 acres of pine forest, plus pre-pitched safari tents and wooden lodges. There's a heated swimming pool and paddling pool and surrounding wooden decking with a snack bar and pizza restaurant during peak season. A central lodge with internet, free Wi-Fi, a TV room, library and board games; a playground, boules pitch, table tennis tables and volley ball court. 'Camper's corner' shop for any essentials you've forgotten and tourist information in reception. Activities for children throughout school holidays. The pretty village of Fontvieille has plenty to offer – old troglodyte dwellings, washhouses, narrow streets and picturesque squares – with municipal tennis courts just beyond the campsite, along with a sports area, skate park and playground. Fontvieille is well known in France, immortalised by the French novelist Alphonse Daudet who characterised the local culture in his most famous work, Lettres de Mon Moulin (Letters From My Mill). A visit to the windmill that provided his inspiration is, you'll quickly find out, an absolute must. Elsewhere, set out to discover traditional Provencal villages with their old wells, winding lanes, and Roman aqueducts among the olive trees. You can watch Camargue bullfighting (if that's your cup of tea) and enjoy a range of summer festivals – folk dancing, Saint Peter’s festival, the windmill festival and, of course, the Alphonse Daudet festival. The restaurant-café on-site serves excellent homemade pizzas, along with a host of other snacks and drinks best enjoyed out on the terrace. It's only open over the May public holidays and through July and August. There's also fresh bread delivery each morning (make sure you order the evening before). It takes just over 10 minutes to walk into the village, where there's a tourist information centre, post office, patisserie, supermarket and a whole clutch of restaurants and cafés. A cute little place called La Table du Meunier (0033 4 9054 6105) with old stone walls and blue shutters is our recommendation. Camping from €19 per night, including a pitch, 2 people, a vehicle and a tent or motorhome. Additional adults €4.30–€6.50; children (2–7yrs) are free in low season and up to €4.50 in high season; under-2's free. Pets €2–€4. Glamping accommodation from €39 per night. Leave the A7 at exit 25 and follow signs towards 'Arles Les Baux de Pce' on the A54. Leave the A54 at exit 7 towards Tarascon and then follow signs to Fontvieille. As you approach the village clear signs will guide you to the campsite. Avignon TGV (0033 892 35 35 35) is the nearest train station, but it's around 30km away. There is also an airport in Avignon but Marseille (65 km) is the more well known (and cheaper) international route.